Described by world-renowned violinist Nigel Kennedy as “phenomenal” Queensland Symphony Orchestra combines classical brilliance with contemporary charm. No stranger to performing alongside international and high-profile national artists, the Orchestra has recently accompanied artists including Judith Durham, The Whitlams, Herbie Hancock and Ben Folds.An orchestra of the highest calibre, Queensland Symphony Orchestra, the state’s only professional symphony orchestra, also regularly attracts the talents of world-renowned conductors and musicians.Engaging with audiences of all musical tastes and interests, Queensland Symphony Orchestra is committed to excellence, versatility and variety. The Orchestra's vision is to touch the hearts and minds of all Queenslanders through music. This vision is achieved through an eclectic and entertaining program of more than 70 concerts annually - from great orchestral classics, new commissions and the more intimate Baroque for aficionados through to celebration Proms and cinema favourites.As part of the Orchestra’s commitment to be accessible to all Queenslanders, the Orchestra tours both northern and regional Queensland. Outside of its own program, the Orchestra is regularly involved in the state’s most prestigious arts and music festivals and every year plays for seasons presented by the Australian Ballet, Opera Queensland and Queensland Ballet. The Orchestra's extensive education program involves performances presented for pre-schoolers through to secondary school music extension students and plays to approximately 30,000 children annually. 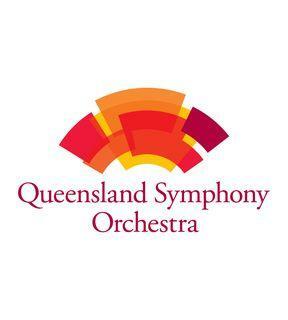 For more information on Queensland Symphony Orchestra, including its performance schedule, please visit their website.